Outgoing Microsoft CEO Steve Ballmer won't receive a retirement package, but he's still one of the richest people in the world. Microsoft CEO Steve Ballmer won't be heading out with a big retirement package -- or any package at all. But hey: He's still one of the richest people in the world. Microsoft doesn't offer "special retirement programs" or severance pay for its executives, according to a regulatory filing. But once the bombastic Ballmer leaves Microsoft, he'll still be an extremely rich man. Ballmer owns more than 333 million shares of Microsoft. The nearly 4% stake in the company is currently worth $11.5 billion. 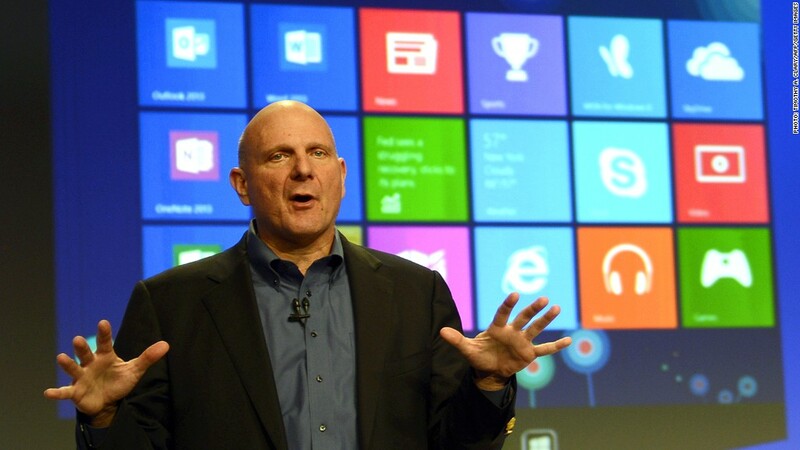 Forbes magazine says Ballmer is the 22nd richest person in America, and he ranks an impressive No. 51 among the world's billionaires. Ballmer, who joined Microsoft (MSFT) in 1980 as one of the first 30 employees, plans to hold onto his large stake. "I cherish my Microsoft ownership, and look forward to continuing as one of Microsoft's largest owners," Ballmer said in a memo to employees Friday. Though Microsoft's stock has stagnated over the past decade, Ballmer's current stake is worth 56% more than the $7.3 billion worth of shares he had when he started as CEO in 2000. And shares rose more than 7% on news of Ballmer's exit on Friday, making his stake worth $786 million more than it was on Thursday. Not a bad bit of unofficial retirement pay. Microsoft hasn't named a successor for Ballmer, who took over the company's reins from Bill Gates. Under his direction Microsoft has enjoyed hits like Windows 7, the Xbox with Kinect, and its cloud business. But those successes were tempered by flops like Windows Vista and the Zune MP3 player. In particular, Microsoft has struggled to adjust to the mobile computing revolution, trailing rivals Apple (AAPL) and Google (GOOG) in that field. The company was once the most valuable in the world, but Microsoft has lost more than half of its market value over the past decade.